It is a grammar worksheet to practice the past simple tense. 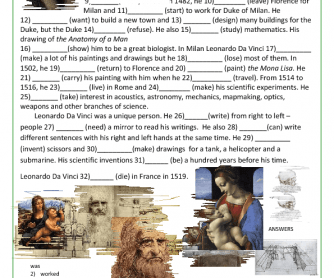 It is a brief biography about a great artist, inventor and scientist Leonardo da Vinci. It can be used as a test or just grammar drill. 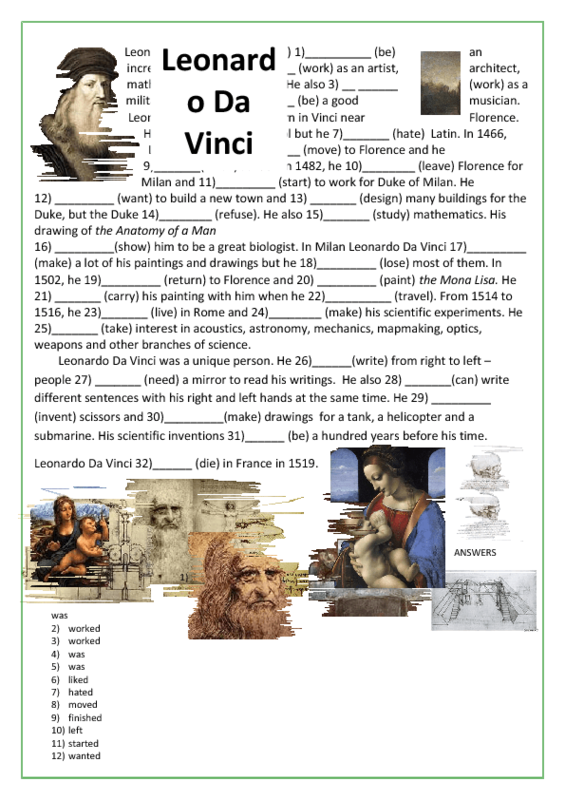 This worksheet will be very useful for students of elementary and pre-intermediate level.